SCOTTSDALE, Ariz. — Axon (Nasdaq: AAXN), the global leader in connected law enforcement technologies, will kick off its Axon Academy Bootcamp Tour on October 22. Teaming with Verizon, a leading innovator in public safety communications and one of Axon's wireless coverage providers for US customers, the bootcamp tour will deliver redesigned online and in-person training for law enforcement that includes training on Axon's new TASER 7 conducted energy weapon and education on the Axon Body 3 camera and Axon Records. Other new features of the learning platform include empathy training for special populations, such as the mentally ill, and tools on how to make strategic decisions when in the field. To sign up for the Axon Academy Bootcamp, visit: www.axon.com/bootcamp. Each stop on the Axon Academy Bootcamp Tour is a two-day educational event for law enforcement professionals. The first day offers free instructor certification on Axon's new TASER 7 weapon, including an opportunity to fire the weapon and learn how it fully integrates with the Axon network. Attendees can also participate in risk management and virtual reality empathy training. The second day offers additional paid certification courses on Axon's body-worn cameras. Axon Body 3 will be connected through Verizon's award winning network: the nation's largest and most reliable 4G LTE network, covering more than 2.5 million square miles and more than 98% of Americans with a more than 450,000 square mile coverage advantage over the nearest competitor. Verizon's Responder Private Core intelligently separates traffic between commercial and public safety traffic and serves as a platform for enhanced network access, secure applications, and value-added services. "We're excited to take Axon Academy on the road and get the TASER 7 into the hands of law enforcement," says Axon CEO and founder, Rick Smith. "We are committed to delivering robust training to law enforcement instructors, who in turn can train all end-users of Axon technology. We want all officers to ultimately have the confidence to de-escalate any situation and focus on saving lives." "As a trusted, decades-long partner to law enforcement, Verizon understands the important role training plays in helping law enforcement to protect and serve," says Mike Maiorana, Verizon senior vice president for public sector, Verizon. "We are pleased to support this and other training activities. 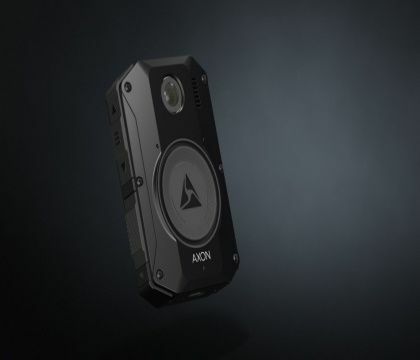 Adding connectivity on the largest, most reliable network to Axon's market-leading devices helps provide law enforcement with the tools to do their jobs effectively." To sign your agency up for the Axon Academy Bootcamp, please visit: www.axon.com/bootcamp.